BLUF: It's smaller than gen 1 but functions exactly the same with more buttons and less dials. 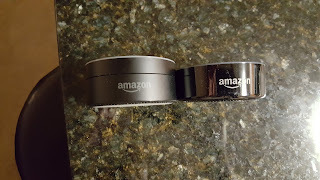 I bought the original Echo Dot the day it came out via the Amazon app glitch that's no longer needed now that they are readily available from the website. 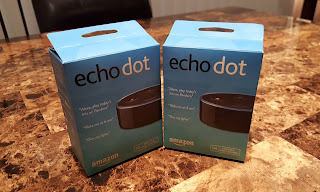 Back story on the glitch is that you could only order the original Dot via an Echo speaker you already owned or by adding it to your cart via the Amazon app on a mobile device. The work around only worked for about 2 days before it patched leaving only the option to buy through the Echo speaker. I've sparingly used my Dot over the last 6 months mainly as a quick means to turn off & on my Hue lights that are all over my house. I've tested out a few features as they became available, but never really made full use of it. I'd say the reason why I didn't make full use of it, is because it was only in my office. While in my office, I'm usually pecking away at a keyboard or streaming media to watch so the Dot doesn't get much use. 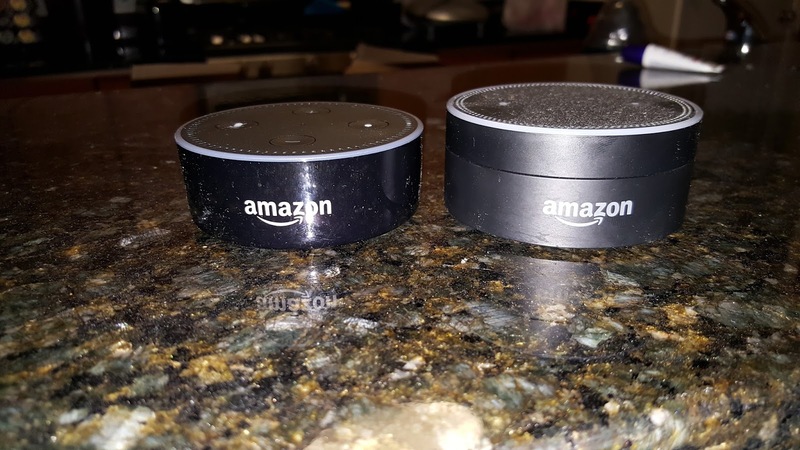 Along comes the new cheaper gen 2 Echo Dot that brings along better voice recognition, more buttons, and 1 less dial. Coming in at $49 (versus $89 for gen 1), you get a small speaker/virtual assistant that can assist you around your home. It has 2 more buttons (volume buttons) that take the place of the spinning dial that used to control the volume. They still work functionally the same as the dial in that pressing up or down allows you to see the white dial grow or shrink accordingly. The other two buttons are to mute the voice activation and start listening for voice. The Echo Dot is also bluetooth enabled in that it can stream music to a BT speaker or you can stream music to it via your phone. The older version is a little taller and matte black while the new version is shorter and now shiny black. I'm sure it'll be a fingerprint magnet but you could easily wipe it down after setting it up and never touch it again. Once you give your voice command "Alexa" you'll see the blue ring light up with a white section that denotes where it's detecting the voice from. Once you complete your command, Alexa will do her thing and return a search, give you the weather, time, traffic, turn your lights on/off, tell a joke, or tell you sorry, she can't do that right now. It works as advertised. 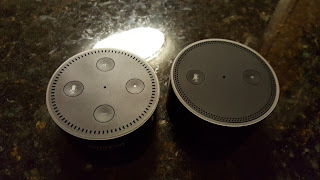 What is supposed to be improved with the gen 2 Dots is the voice recognition and ability for two Echos to hear your command but only respond from the one closest to you. I can tell you this works very well. I've been standing next to a Dot while another Dot is streaming music on speakers and the one closer to me returned the desired search or result. The one further away lit up as well and dimmed the music, but continued to play without responding. I've been in a room with a Dot connected to speakers playing music and watched the Dot about 30ft away light up after hearing my "Alexa" command. It didn't do anything, but it heard me. 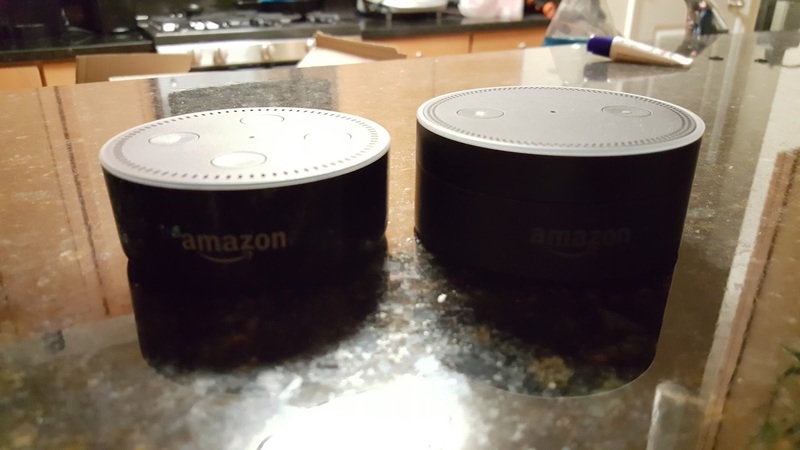 In summary, the Echo Dot is a cool little tech toy that can be very useful in the right situations. If you have one in the kitchen, it's a no-brainier to set timers with it. 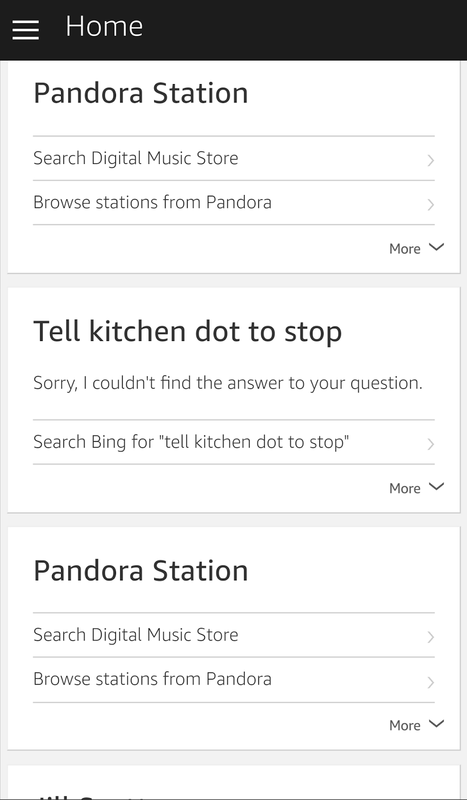 Why even bother to search for the right buttons on your stove if you can simply ask Alexa to set a timer for 20 minutes? Now I have 3 Dots in my home and I think they will become more useful considering my home is basically one long rectangle. Previously I couldn't lay in bed and tell Alexa to turn on/off my bedroom light because it would never hear me. I couldn't stand in the kitchen and ask for a timer in the kitchen either. The only drawback that I see right now is that even though the Dots are aware of each other, they can't talk to each other. For example, you can't give a command to one Dot, asking it to tell the other Dot something. I've tried to transfer music and it can't. I've asked one Dot to stop a timer on another Dot and even though it heard my command perfectly, it couldn't stop the timer. 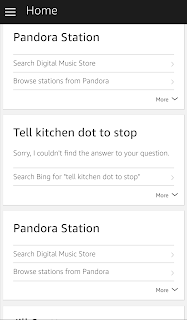 I hope Amazon can figure this out because it would be great to ask Alexa to transfer your music to another Dot if you're moving throughout your house. At $50, why not give it a try?